This is a Chinese name; the family name is Xi (习). 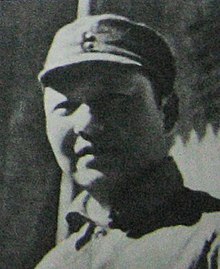 Xi Zhongxun (15 October 1913 – 24 May 2002) was a Chinese communist revolutionary and a political leader. He is thought to be among the first generation of Chinese leadership. He helped the founding of Communist guerrilla bases in northwestern China in the 1930s. He was imprisoned and purged several times. He was married to writer Qi Xin. Xi is also the father of Xi Jinping, the current General Secretary of the Communist Party and President of China and also Chairman of the Military Commission. ↑ Đình Nguyễn. "Tập Cận Bình – 'Lãnh đạo tương lai' của Trung Quốc" (in Vietnamese). Vnexpress. Retrieved 2010-10-19. This page was last changed on 18 March 2018, at 22:05.